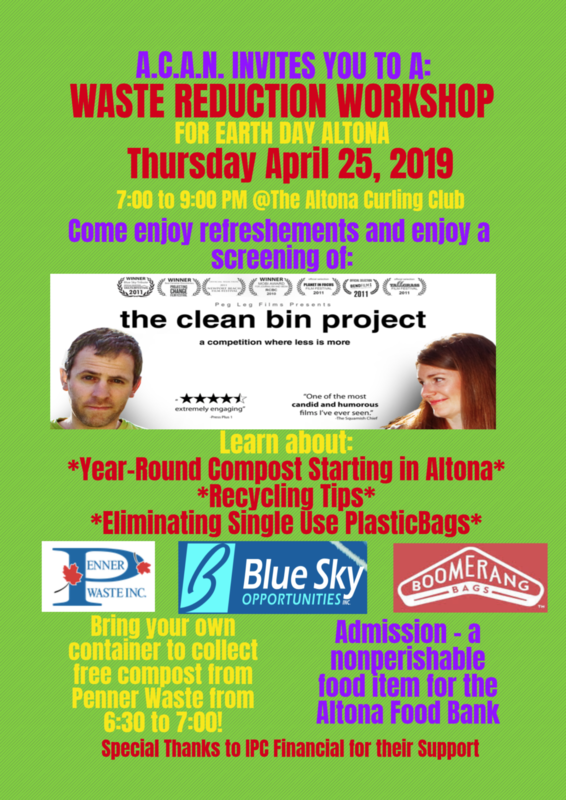 A.C.A.N (Altona & Community Action Network) – Waste Reduction Workshop on Thursday, Apr. 25, 7-9 pm at Altona Curling Club. Enjoy refreshments and a screening of ‘The Clean Bin Project’. You will also hear about the year round compost pick up that is starting in Altona. Bring your own container for free compost. Admission is a nonperishable food item for the local Food Bank.